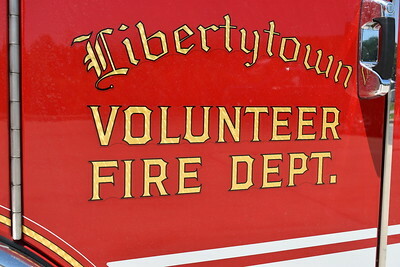 Libertytown VFD - Frederick County, MD. Libertytown, Maryland - Frederick County. 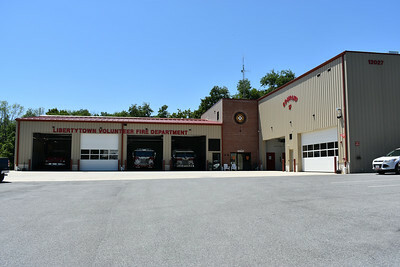 Libertytown, Maryland - Station 17 in Frederick County. Rescue Engine 171 from Libertytown, Maryland is this 2003 Pierce Dash with a 1250/800. Pierce job number 14189. 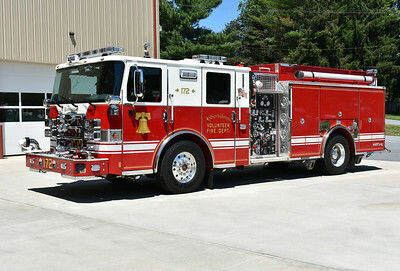 Engine 172 from Libertytown, Maryland in Frederick County is this 2016 Pierce Enforcer 1500/1000 and job number 29717. Note the Maryland state flag emblem in the front grille. 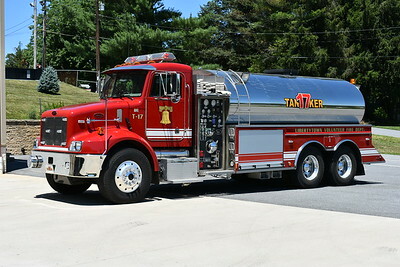 Libertytown, Maryland Tanker 17 - a 2003 Peterbilt 330/US Tanker equipped with a 1000/3000. US Tanker serial number 86321. 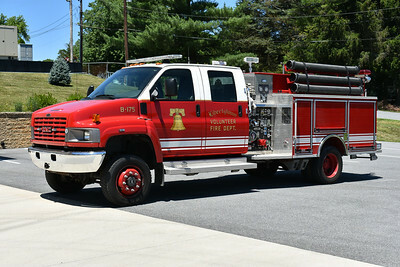 Libertytown, Maryland's Brush 175, a 2009 GMC C5500 4x4/Pierce with a 1000/300. Pierce job number 21658. Pierce is known for its engines, ladders, squads, etc. 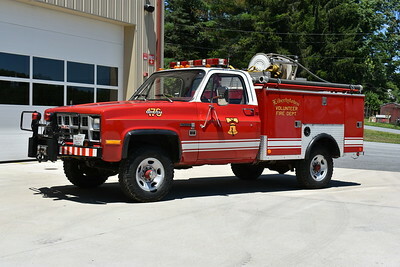 Brush 176 from Libertytown, Maryland is this 1982 GMC Sierra 3500 4x4 with a 1983 Pierce utility body. 250/100. 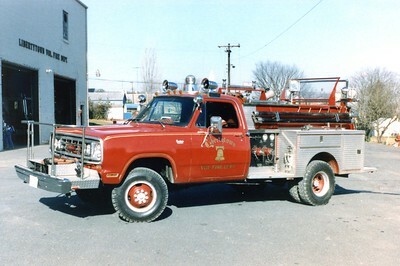 This truck was originally delivered to Cabin John, Maryland in Montgomery County. Libertytown received the truck in 2003. 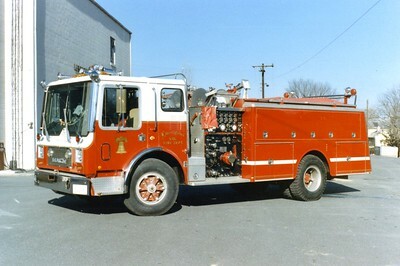 Engine 171 from Libertytown was a 1980 Mack MC, 1000/1000. 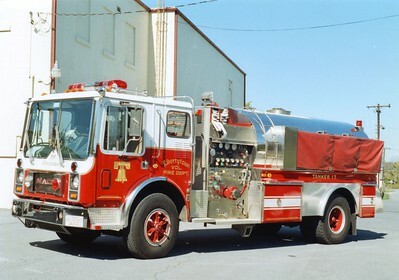 Tanker 17 was a 1984 Mack MC/1995 4-Guys, 1000/2000. 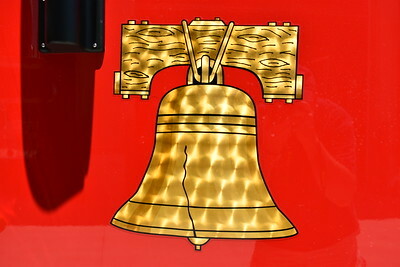 Sold to Windsor, Pennsylvania (Laurel Fire Company), in 2004. Engine 175 was a 1975 Dodge/Pierce, 250/250. 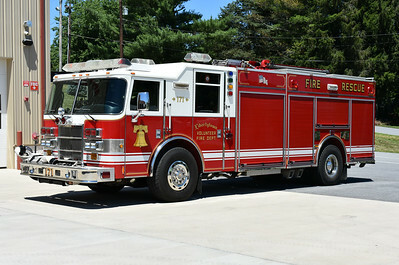 Sold to Mount Union Fire Company, Pennsylvania (Huntingdon County), in 1999.